Action Network » Differential Tuition in Higher Education: What Does It Mean for Schools, Students, and the Public Good? Much has been written recently about the steadily rising cost of attending colleges and universities in the United States, increases related, in part, to decreases in federal and state funding. As schools are raising tuition to make up for funding deficits, students are looking for better and more certain postcollegiate economic outcomes. As a result, there has been more focus on analyzing cost-benefit ratios across different college majors. Students and their parents are asking which majors will be most cost-effective. 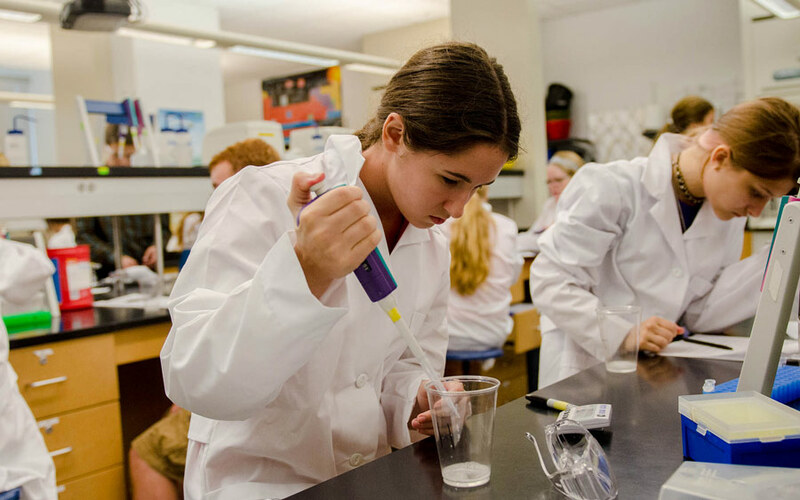 As STEM jobs with relatively high salaries have proliferated, students looking for a good return on their education costs are choosing STEM programs of study over programs offering less postgraduation job security. Is looking at how quickly higher tuition can be offset by earnings the smartest approach to choosing a major in college? What other criteria should be taken into account? While weighing their options, students don’t always account for the cost differential of tuition across majors, a practice whereby colleges charge students more for certain programs. A 2017 study led by Gregory Wolniak, a research director at New York University, revealed a marked increase in the number of colleges instituting differential tuition policies in recent years. In 2015, 86 of 143 public research universities (60.1%) had a differential tuition policy, whereas only nine (6.3%) had such a policy in the early 1990s. Administrators say the policy is necessary to cover the cost of expensive programs such as engineering and science and is justified by the higher-paying jobs available to graduates of those programs (especially compared with the jobs available to graduates of programs like English or history). Since this information is not always clearly stated up front, students are often unaware of these differences in tuition until after they declare a major. While advocates for lower-income students oppose tuition differential practices because of their potential to perpetuate inequality, others criticize the justification that paying more for majors in STEM and related fields is mediated by the higher salaries earned by these graduates. State policy makers promote the social benefits of beefing up the STEM workforce and thereby boosting economic competitiveness in the United States, but critics argue that state schools should keep in mind the considerably higher cost of producing an electrical engineer. A recent paper issued by the National Bureau of Economic Research stated that teaching electrical engineering costs 109% more than teaching English. Reasons for this stark difference in cost include paying faculty members salaries that can compete with the private sector, the need for specialized equipment, and the cost of coordinating clinical experiences. Moreover, placing greater value on STEM fields and majors might be short-sighted, particularly in light of what employers have clearly stated for years: humanities majors make the best employees across many fields, including technology and engineering. John Papadopoulos, a University of California classics professor, affirms that humanities graduates learn to think outside the box, concluding, “These are precisely the kinds of people that employers have the most interest in, people who have independent thought and who can pursue research and work independently.” Scholars and business leaders have argued in articles and essays such as this one on NPR.org that college should not be “a place to go to for a specific certification for a specific job.” Adam Frank, an astrophysics professor and the author of the editorial, warns that students and their parents should not fall into the trap of educational consumerism. As Frank notes, “During the course of their lives, students today can expect to move through multiple career phases requiring a wide range of skills.” Without a base in the humanities, students aren’t likely to receive a well-rounded education that will prepare them for the many aspects of a complex job market.